If you are looking for a very intimate, thoroughly authentic Big Five safari experience, we know you’ll just love Garonga. 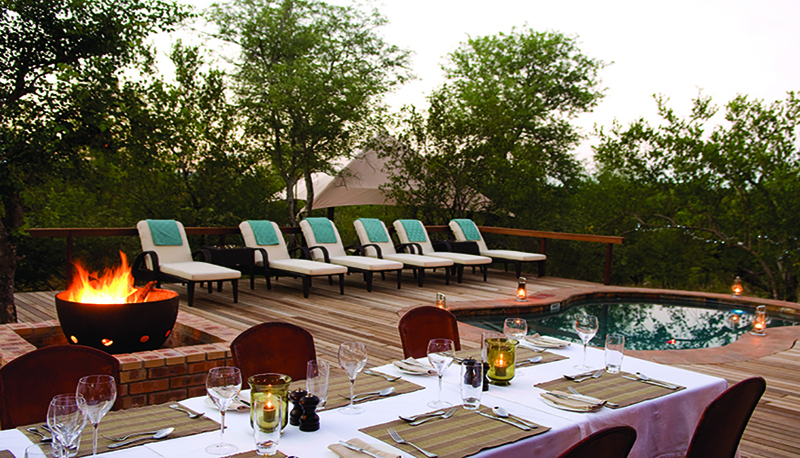 Set in the 22 000-hectare (60 000-acre) Greater Makalali Pidwa Private Nature Reserve west of the Kruger National Park (near Hoedspruit), Garonga Safari Camp and Little Garonga each offer a sublime safari experience. Experienced Africa hands agree that small, intimate safari camps are best: not only because of the superb personal attention you will receive, but also because of the extraordinarily uncrowded game-viewing that comes with the territory. 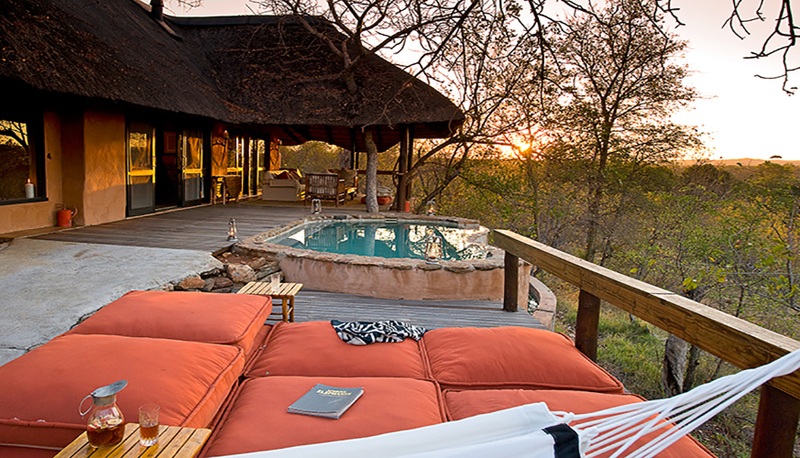 The Makalali Conservancy (90 minutes’ drive from the Kruger National Park’s Phalaborwa gate) is a private Big Five reserve where morning and sunset game-viewing drives give you extraordinary encounters with many of Africa’s most incredible wild animals. Game drives in open safari Land Rovers are at the heart of the Garonga experience, and the camp is famous for the calibre of its trackers and expert guides, who ensure you have an up-close Big Five safari experience. Track wildlife in the pre-dawn or during traditional early morning and late afternoon game drives. Safari walks with a game ranger are another highlight, and Garonga guides will also point out the varied birdlife and explain how they track animals by their prints. In addition to the Big Five (elephant, lion, leopard, buffalo and white and black rhino), the reserve also hosts cheetah, hippo, crocodile, spotted hyena, wild dog, and plains game such as zebra, giraffe and several species of antelope. 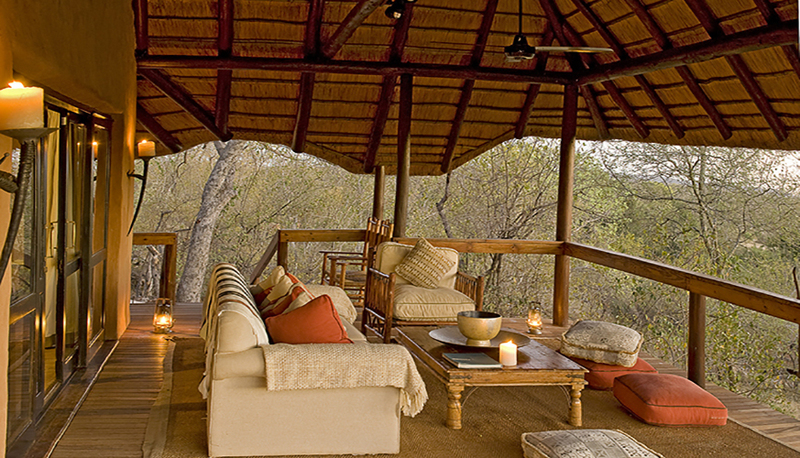 Given your world-class Makalali game-viewing experience, you’ll naturally want equally superb après-safari surroundings. This is where gorgeous Garonga comes in. Their promise is to give you a ‘safari for the soul’ – and, boy, do they deliver! Garonga’s holistic approach offers you an unhurried and intimate wildlife encounter, with time to reflect and find inspiration in nature. 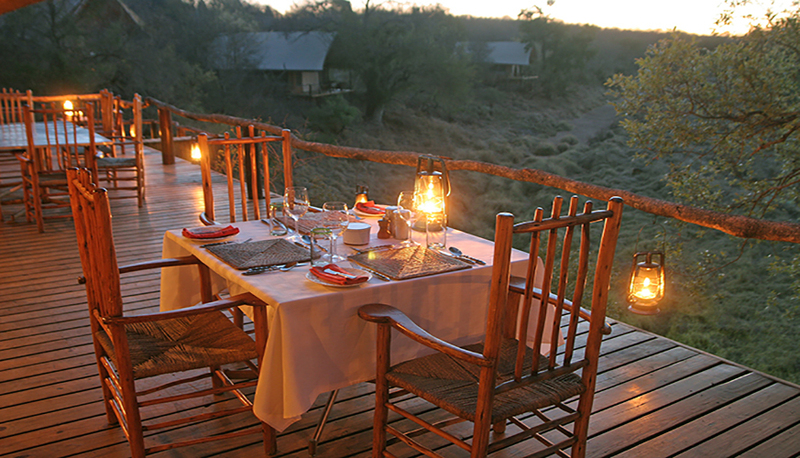 Highlights here include the Sleep Out viewing deck with a gauze-draped four-poster bed where you can enjoy dinner under the stars before spending the night alone in the bush; incredible open-air star bath (this is a totally private outdoor bath overlooking the surrounding landscape where you can enjoy a glass of wine and the sounds of the bush from the comfort of a warm bubble bath); massage sala with a full-time therapist; yoga sala; sparkling swimming pool and so much more. You can even hire a microlight or small plane to enjoy the Makalali Conservancy from the air. 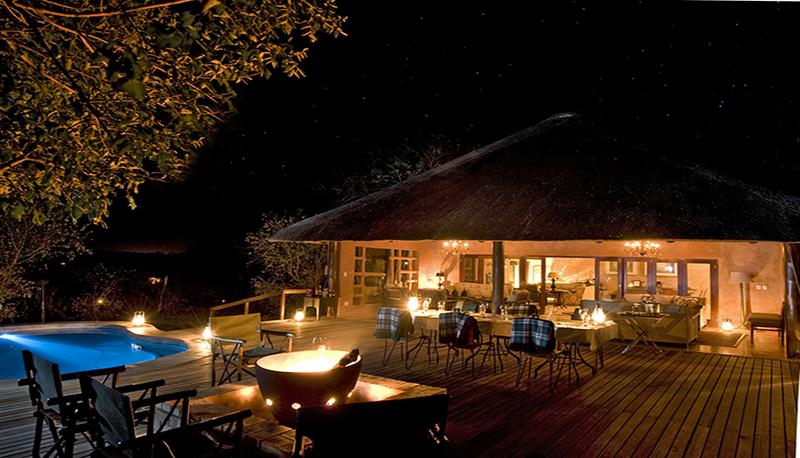 Choose between stylish Garonga Safari Camp, where six tented suites blend classic safari luxury with comfort and impeccable service, and Little Garonga, a stand-alone boutique safari lodge with just three luxury thatched suites. Enjoy life under canvas. 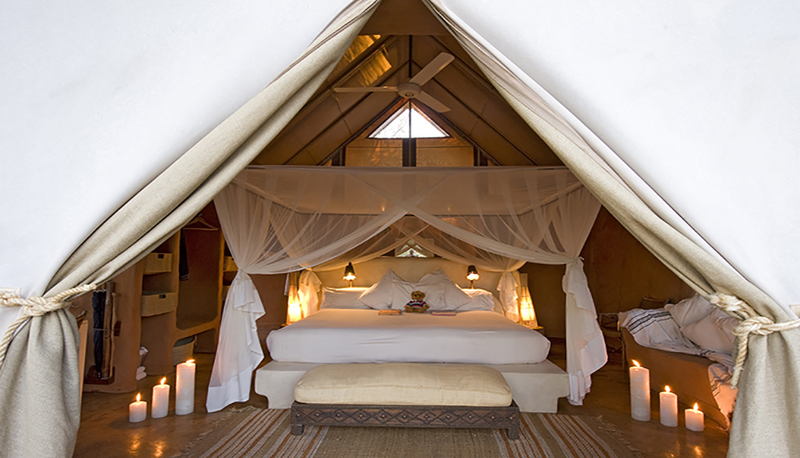 This tented camp is ideal for couples who enjoy the experience of being part of the bush. 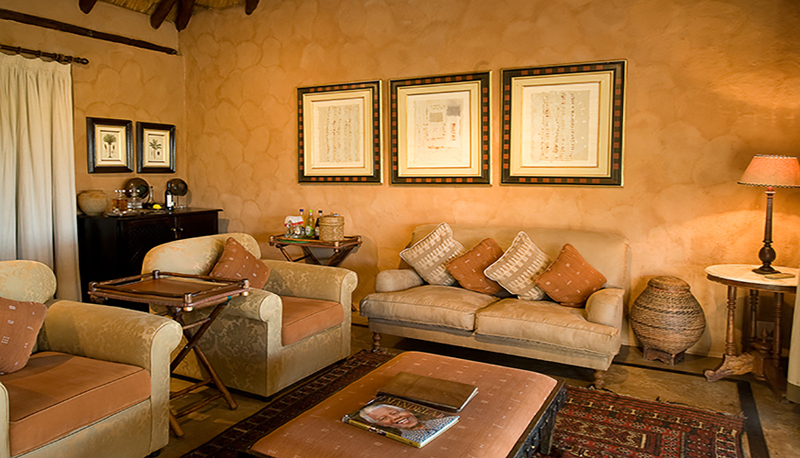 Expect a seamless blend of safari style and low-key luxury with sculptural rustic touches. 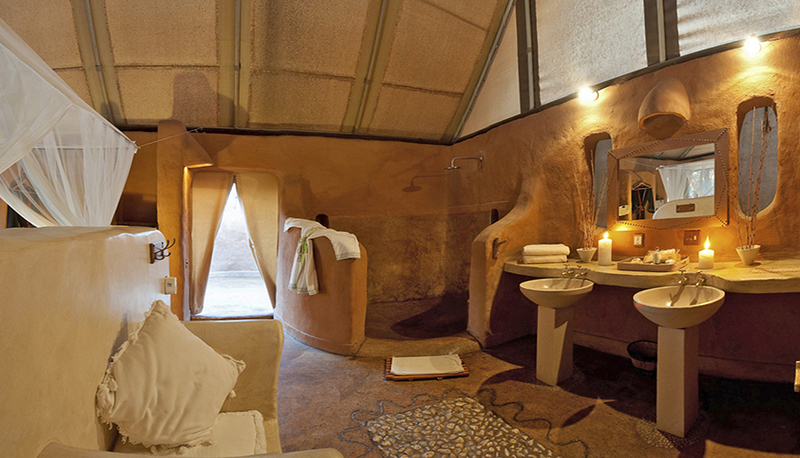 Each of the six en-suite tents – spread out overlooking a dry riverbed – is sculpted out of rough-plastered walls topped by canvas safari tents. Each has a large private wooden deck complete with a hammock that commands spectacular views. The tented suites are light, airy and spacious, providing the perfect link between exclusive luxury and the allure of Mother Nature just outside. 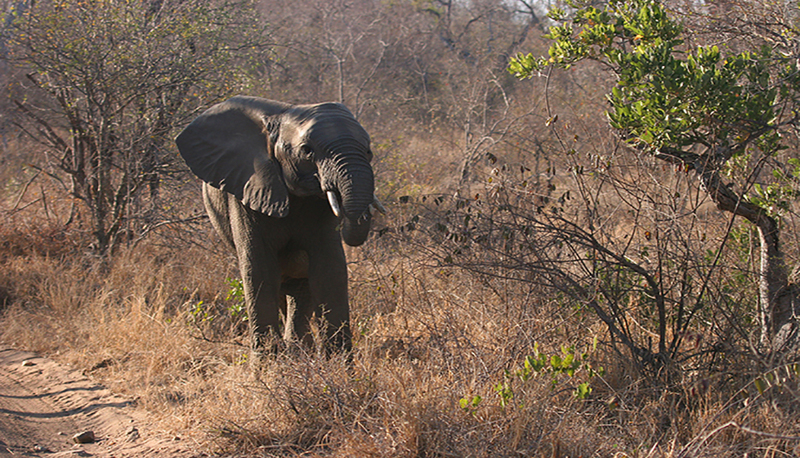 Your closest neighbours are likely to be the elephants foraging in the trees surrounding your tent! 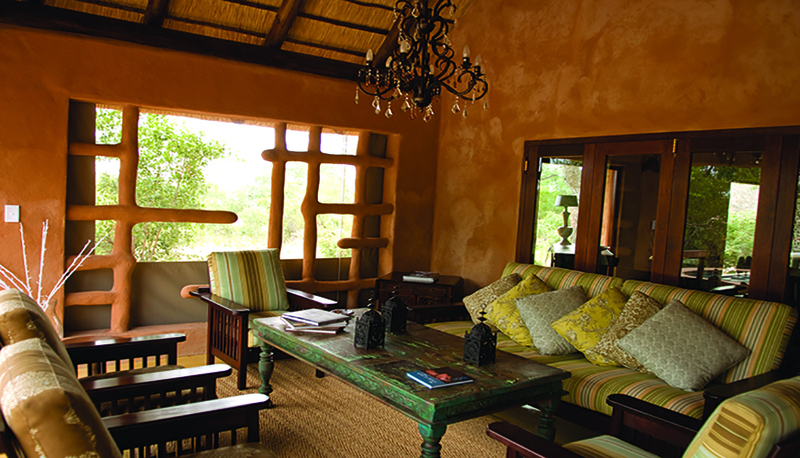 The supremely relaxing thatch-roofed, open-walled communal area includes comfy seating with views over the riverbed and waterholes, a glorious swimming pool surrounded with loungers – just the spot for relaxing with a book in the heat of the day – and a well-stocked bar where you can help yourself to drinks at any time. Little Garonga (run separately to Garonga Safari Camp with its own host, chef, waiter and housekeeper) has three wonderful thatched suites and is the perfect choice for families and small groups or couples who prefer creature comforts. The thatched and air-conditioned suites are focused around the centralised indoor/outdoor lounge areas, a swimming pool and built-in braai/BBQ area. Each suite has its own platform deck, complete with hammock. The Hambleden Suite is an exclusive private villa that is just the thing for a couple seeking total luxury and exclusivity, although it is also available to accommodate a family of up to four. It features a raised deck, two separate rooms, its own swimming pool, private indoor/outdoor lounge areas and a huge bathroom with a beautiful hand-beaten copper bathtub and indoor/outdoor showers. The Chiltern and Buckingham Suites, each with its own private platform viewing verandah with a hammock, have wonderful views over the bushveld and provide a perfectly romantic escape for couples. The star bath is next-level! 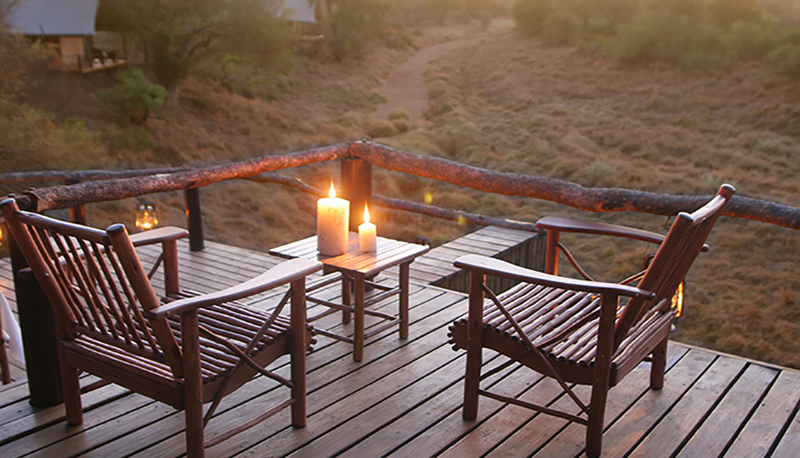 Picture yourself sipping a glass of fine South African wine while you soak away any game-viewing dust in a deep bubble-bath under the open sky – all while soaking up the glorious bushveld views. 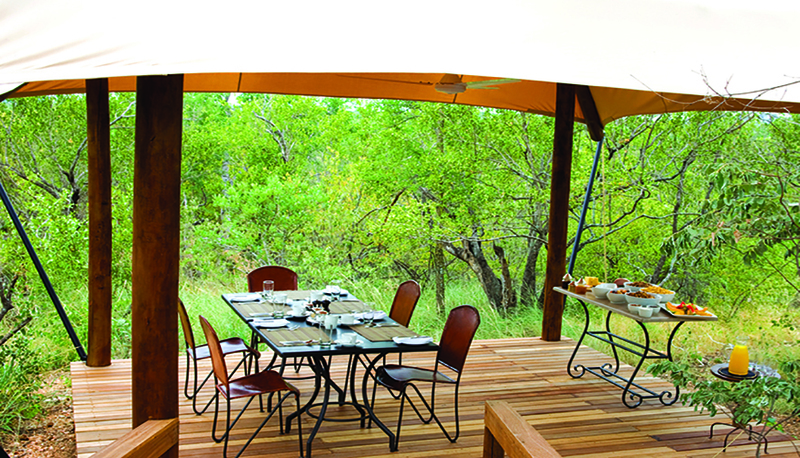 The calibre of the guides really makes Garonga a must-visit Big Five safari destination. They are, without exception, incredibly generous with their encyclopaedic knowledge of the African bush. Garonga really delivers on their promise to give you a ‘safari for the soul’ – both Safari Camp and Little Garonga are magically tranquil, relaxing and uber-comfortable, while the warmth and hospitality of the team makes you feel truly special. Garonga Safari Camp sleeps up to 12 guests and can accommodate children aged 12 and over, while Little Garonga sleeps eight and can accommodate a maximum of two children aged six and over. While Garonga has good mobile-phone signal, the use of private phones is not permitted in the public areas or on safari. Although this is a low-risk malaria area, the use of anti-malarial precautions is strongly recommended. The Garonga Safari and Little Garonga camps sleep an ideal max of 20 guests, although they can add in two small children into each of the Buckingham and Chiltern suites, taking the total to 24.